If you’re looking for escape from the world’s woes, look no further. 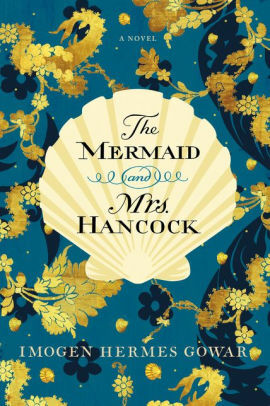 Imogen Hermes Gower’s first novel, The Mermaid and Mrs. Hancock (HarperCollins, digital galley), is a ribald romp through Georgian London, featuring the unlikely pairing of a middle-aged merchant and a golden-haired prostitute. They are brought together by a mermaid, actually two of them, and thereby hangs a witty, fulsome tale. Although it’s a long book at almost 500 pages, it reads fast. And it’s so good, I wished for more. Jonah Hancock is a sedate widower who lives in the same Deptford house in which he was born, his simple wants looked after by a young maid named Brigid and his niece Suki, a bright 14-year-old. It’s 1785, and he’s waiting for one of his ships, Calliope, to come in after a long voyage to the South Seas. Imagine his surprise when the ship’s captain shows up to say he’s sold the ship to buy a genuine mermaid — a small, wizened creature with a fearsome baby face, long fangs and a fish’s tail. Dead, yes, but it’s still a mermaid, and people will pay good money to see something so remarkable, although Hancock is initially dubious. Meanwhile, in London’s SoHo, Mrs. Angelica Neal is contemplating her pretty face and an uncertain future. The duke who kept her the last three years has died and left her nothing in his will. Should Angelica return to Mrs. Bet Chappell’s famous bawdy house, where she grew up and learned her trade, or strike out on her own in hopes of attracting a new protector? The wily Mrs. Chappell wants Angelica back; none of her current girls have the charms of a true courtesan. When Mr. Hancock’s mermaid becomes a popular sensation, Mrs. Chapell strikes a bargain with him. He will loan her his mermaid for a week, and she will make sure that he meets the lovely Mrs. Neal. But all comes to naught at a mermaid-themed party, where Mr. Hancock is appalled by the behavior of the gentleman in attendance, and self-involved Angelica spurns him, choosing to cast her fate with a handsome rake. Enter a second mermaid. Not right away. Readers first encounter her through short lyrical passages, seductive siren songs of the sea. That she is very much alive only becomes apparent when Angelica jests to the now well-off Mr. Hancock that he needs to find her a second mermaid if he hopes to win her favor, and he immediately commissions an expedition to the North Sea. Magical realism meets historical realism with nary a seam showing. That a mermaid might swim in a shell-lined grotto behind a house in Greenwich seems just as possible as a prostitute marrying a merchant. Why Bel Fortescue, Angelica’s best friend, allows herself to be captured by an earl. Gowar’s lively narrative is spiced with period cant and sparkling descriptions of life high and low in London, where birth is often destiny. 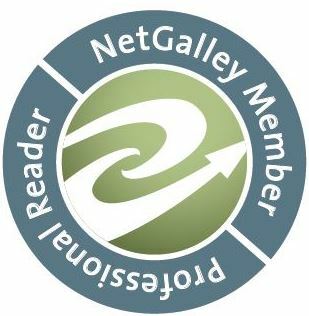 She’s very good with domestic details — the houses, the fashions, the food — and populates the story with winning secondary characters: Suki, who reads Pope aloud to her uncle when she’d prefer a romantic novel; her mother Hester, for whom respectability is all; and Mrs. Chappell’s mulatto girl Polly, who discovers her own self-worth. I suggest you do the same with The Mermaid and Mrs. Hancock.